Bickner. Where Freda's [?] is located. Description Faded. Bottom right corner unexposed; top corners chipped. 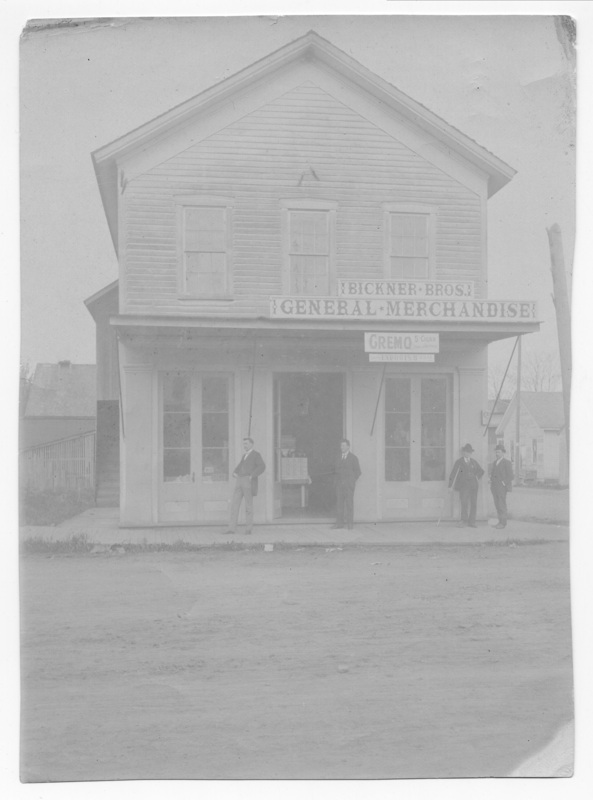 Signs on building: Bickner Bros, General Merchandise; Cremo 5 [cent] cigar. Transcription Bickner. Where Freda's [?] is located. Physical Description H 6.5" X L 4.75"